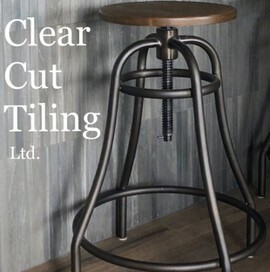 Clear Cut Tiling is a small New Zealand owned and operated business. Our profession­al team have over 50 years of tiling experience combined. We service the entire Auckland region, including Waiheke Island. If you are from outside this area gives us a call or an email. Clear Cut Tiling specialises in residential and commercial tiling. Our experienced team is dedicated to helping you with all your tiling needs. We can discuss your tiling options with you and assist you with the entire tiling process from the design to the laying of the tiles. We specialise in all tiling aspects including indoor/outdoor tiles, bathrooms, kitchens and even fireplaces. You name it - we can tile it. We can remove your old tiles and replace them with something you can be proud of. We have a quality of workmanship guarantee for all our jobs. Be rest assured you will be happy with the final product and thats why we are the recommended tiler instalers for Tile Space, Tile Depot and Tile Warehouse. We are qualified waterproofers and can also fit underfloor heating. We work on all job sizes - big or small and we are the recommended tiler installers for Tile Space, Tile Depot and Tile Warehouse. We offer a free measure and quote so call us on 027 200 4006 and we can discus all your tiling options. Ryan Bailey: Sorry and you txted when and what time was I meeting your wife. When you have six staff and lots of people wanting lots of things a phone call would of been easier. Waste of space. Couldn't even be bothered getting back to me after initial contact. Clear cut waste of time. Booked a day with Ryan, had the area prepared according to his instructions and had toilet removed. Called and txted the day before to confirm start time, no response and no show. Cost me a plumber fee and the rest of the project ran late. Complete fail.